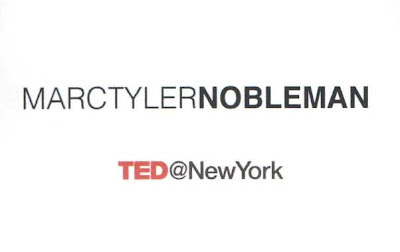 In 2012, TED conducted a global talent search in 14 cities. I was honored to be one of the speakers at the NYC stop. I don’t know how many people total participated in the talent search, but 34 of them have been asked to speak at TED 2013. Of the 31 impressive people/groups from my night, seven have been asked to speak at TED 2013. Those seven are 21% of all chosen via the talent search, 23% of my night, and more than were chosen from any other city. Congrats to all—especially my friend and fellow mystery-hunter Joshua Prager. Joshua will open up about the bus accident that caused him serious injury. Jack Andraka will describe a promising pancreatic cancer test...that he created. Oh, he’s a teenager. John McWhorter will argue that that texting is a language with value like any other. Phil Hansen will talk about his unusual art process. Orly Wahba will reflect on the power of kindness. The Sleepy Man Banjo Boys will bedazzle by bluegrass chops. Daniel Ogilvie is a philosopher. Congrats to all. Wish I could come hear you again.